There’s a reason that granite has risen in popularity over the years. No matter what industry you work in, or what your dream project entails, when you select granite you can rely on it standing the tests of time, looking innately beautiful, and requiring little repair or maintenance over time. When you select granite, you’re expecting it to last. However, you can always rely on the durability of the stone, you can’t always rely on your granite supplier. Our granite company in Ontario has been working exclusively with the stone for generations and have always been driven to exceed our client’s expectations. Big or small, we know how important your project is and want the final product to match your vision perfectly. In this blog post, we’ll discuss why HGH is the granite supplier that you can trust to provide you with the highest-quality granite as well as exceptional granite services. If you’d like any further information about our company then don’t hesitate to contact us today. To get a quote, simply fill out the information here. When it comes to experience in stonemasonry and supplying granite to Canada and the Northeastern United States, no one compares to HGH. Since 1929, our family has been dedicated to this industry and are always striving to stay on top, provide the best granite services, and serve any industry that is looking for a custom granite piece. In order to be the best granite supplier, it’s necessary to have the best selection for our clients to choose from. 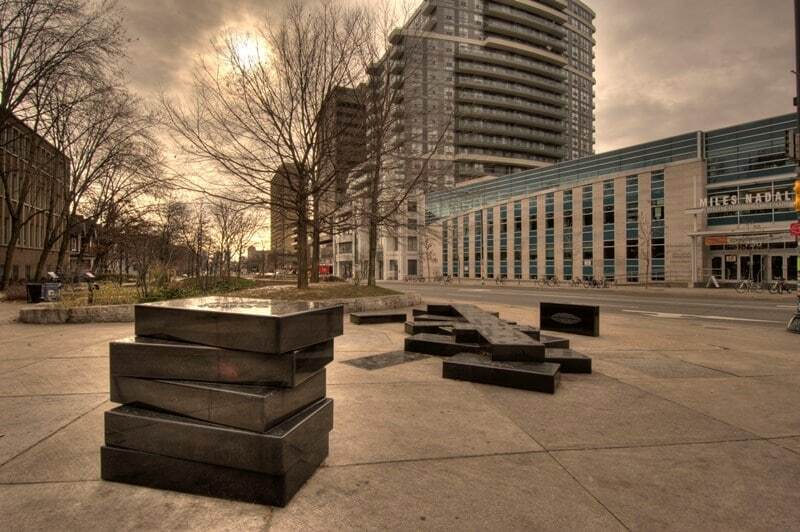 We’re proud to source our granite from four continents so that our clients get exactly what they’re looking for. We have a vast range of finishes and colours, giving you limitless possibilities and opportunities for true creativity. When HGH was founded, we solely focused on providing custom stonework to monument retailers. While we still provide these services, we’ve also expanded our work into various other industries. At this point, we’ve now worked with architects, municipalities, artists, landscapers, and more. We’re also always looking for more industries in need of custom stonework. And no matter the size of the project, we’re always dedicated to excellence. If you haven’t already, view our case studies to see some of the projects that we were proud to be a part of. Not only will we supply the granite for your project, but we also provide comprehensive services to further aid you throughout the process. We’ll help as little, or as much, as you require to ensure that everything goes smoothly. Our expert stoneworkers are highly trained and experienced in granite repair, laser etching, sandblasting, and we even provide installation to safely place your custom stonework to its new home. 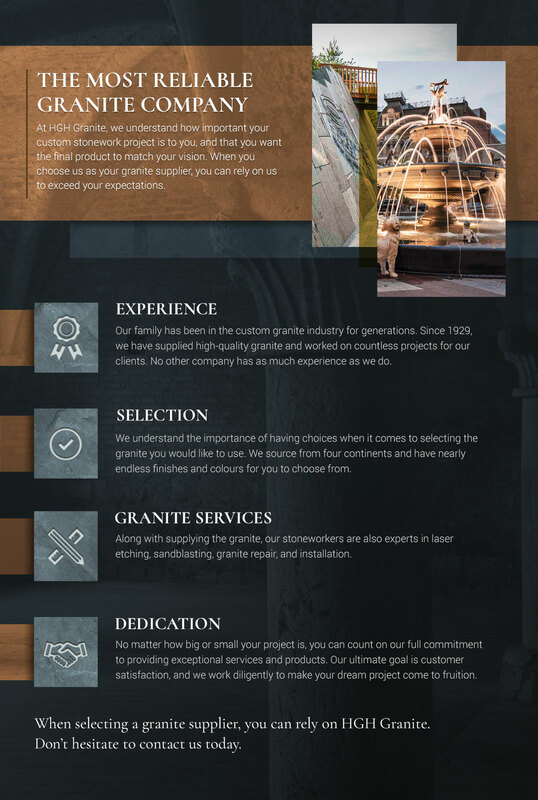 Whether you’re in need of a granite landmark, monument, memorial, architectural feature, work of art, or whatever stone project that you can think of, HGH Granite is here for you. Contact us today! We’re excited to be your choice granite company in Ontario!